I was at Teavana last month and I had some Starbucks rewards to use up so of course I went and opted for 1oz of tea rather than getting a free drink at Starbucks. I got Tung Ting Oolong (as well as Golden Monkey, a black tea, which will have a review coming up soon!) as one of my rewards. It has this subtle vegetal smell, with a light buttery quality to the aroma that the tea has. Tung Ting oolong has a nice lightness to the dry leaf smell which I’ve come to appreciate in oolongs. The ingredient list for Tung Ting Oolong is simply oolong tea, it’s a straight tea that Teavana has not added anything extra to. Teavana recommends steeping Tung Ting Oolong for 3 minutes in 195°F (90°C). I steeped Tung Ting Oolong for the recommended three minutes. 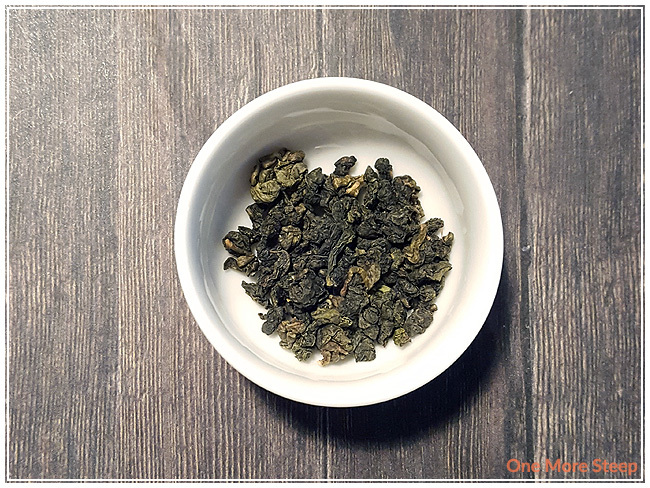 Tung Ting Oolong steeps to a pale yellow, and has a beautiful subtle flavour. There’s a milky creaminess to the tea that reminds me a bit of the creaminess that butter has. There is a light sweetness that lingers on the tongue at the end of each sip, and the floral notes in this tea are quite welcome. At the recommended temperature and steeping times, I’ve noted no bitterness or astringency in the tea. I do appreciate it when the recommendations lends to a good cup of tea. With the recommended three minutes, I noted that not all of the tea leaves had fully unfurled. Because the first steep was delicious, I was very curious about how it would do for one more steep. 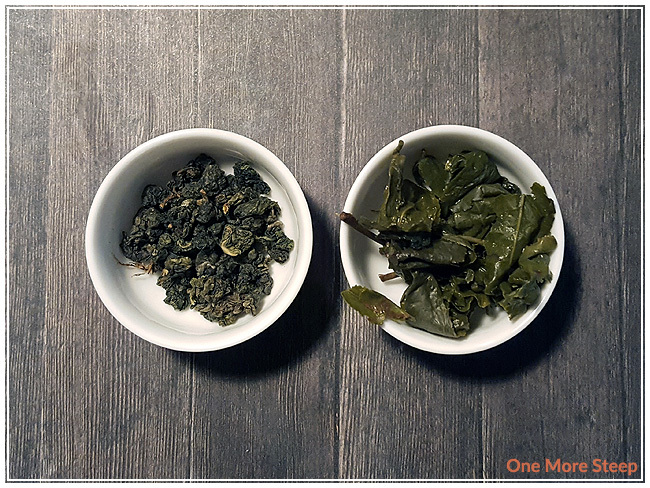 Whenever I resteep tea leaves, I generally add another 30 seconds per steep, this is what I did with Tung Ting Oolong as well since I am not steeping it gong fu style. 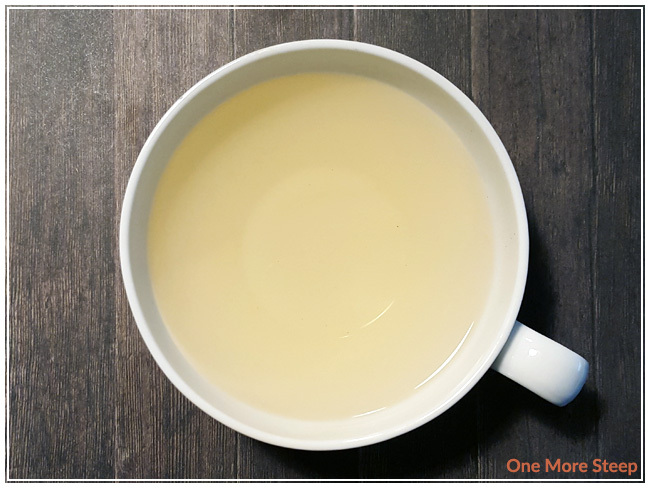 Steeping Tung Ting Oolong for a second time resulted in a brighter, deeper golden yellow tea. The flavour is more buttery and creamy for the second steep. I find that the second steep is more flavourful than the first, what a tasty cup of tea! I steeped this tea for a total of seven steeps, the flavour of Tung Ting Oolong for the sixth steep was waning and watery compared to the first five. 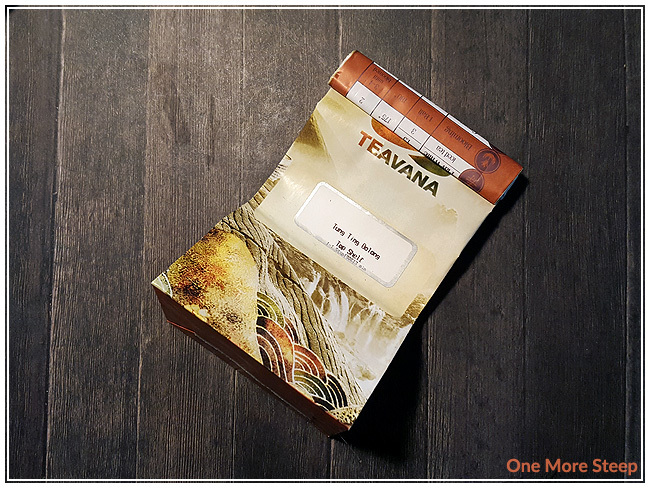 I loved Teavana’s Tung Ting Oolong. I’ve definitely become a fan of oolongs since I began the journey of chronicling my tea tasting adventures here on One More Steep. 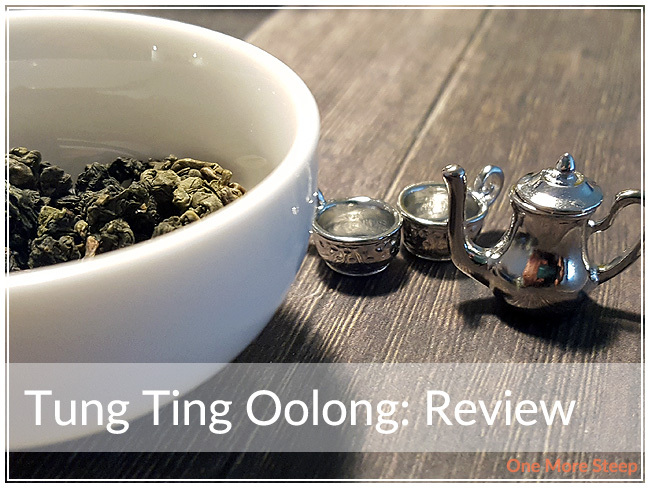 While Tung Ting Oolong may be expensive compared to other teas, especially $20 for 2 oz, I think it has value because of the ability of tea to be resteeped over and over again. Because of that, it is a fantastic tea to have when you’re at home and able easy access to a kettle so you can resteep it over and over again. The last photo showing dry leaves & infused leaves is great! I like these types of comparative shots. Thank you! 🙂 I will be trying to remember to do those kind of photos for future reviews.